This badly water-stained postcard was postmarked at 5 a.m. on July 21, 1911, in Maine. It was mailed to Miss Georgia Klinefelter, care of Mrs. Vreelander, in Newark, New Jersey. The entirety of the message appears on the front of the card. On the left is written: "Nobody was seasick so far." And across the bottom is written: "Had a very pleasant trip. I like the place. B.A.R." Orr's Island is, according to Wikipedia, considered part of the town of Harpswell, Maine, and forms an archipelago with Sebascodegan Island (also known as Great Island) to its north and Bailey Island ... to its south." As of 2000, the island had a population of about 750. The Harpswell Historical Society has an in-depth timeline of area history, particularly Orr's Island. 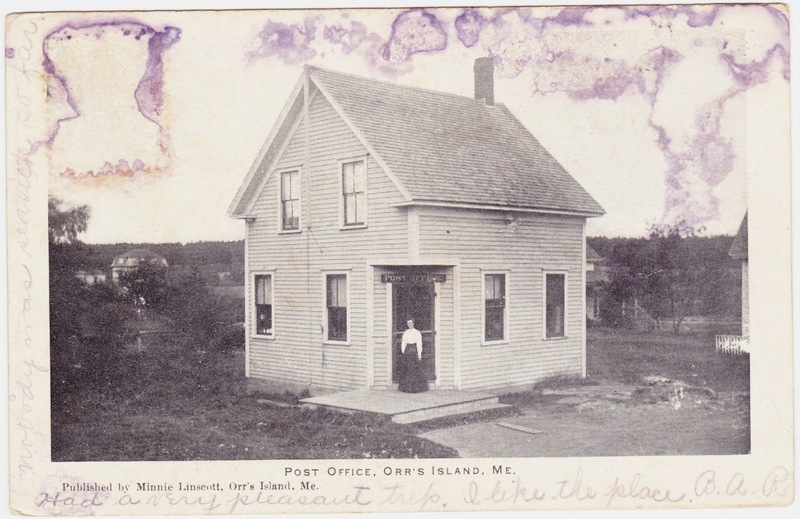 According to the society, Orr's Island Post Office was established in 1868, with Samual Smullen serving as the first Postmaster. According to quick web search, Orr's Island still has its own post office. 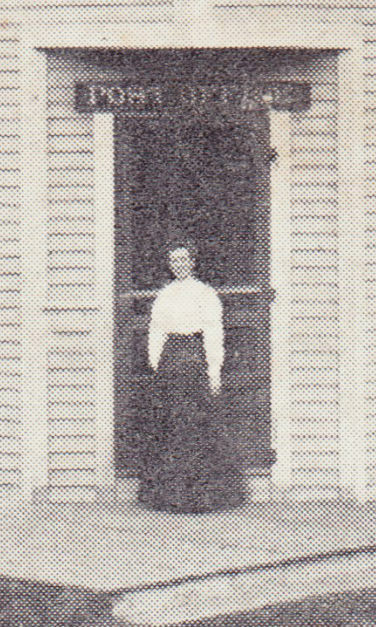 Here's a closer look at the woman in the doorway. 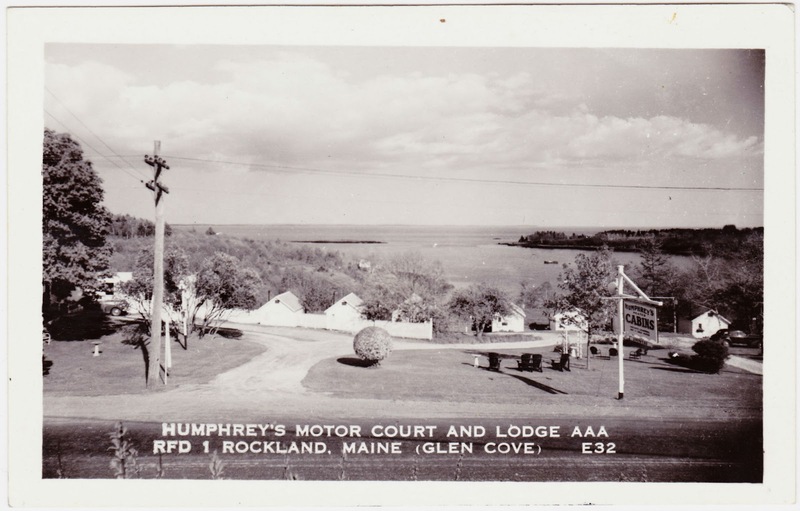 This is an unused real photo postcard. Printed inside the stamp area on the back are the words "DEVOLITE PEERLESS." 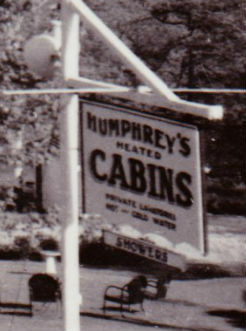 According to The2Buds, that company's postcards were produced starting in 1950. Here's a closer look at the sign for the lodge, which details some of the amenities.